There are currently ten days left in August. I hate saying that especially since that means we will shortly be leaving Michigan and heading south. Though it makes an endless feeling of summer, it is always sad to leave behind this beautiful shoreline. I have to say, though, this time away has been perfect, inspiring, and I am truly feeling refreshed. I feel lucky we could take this time for ourselves after a few years trying to find space like this in our work and life. There is much more balance, peace, and calm in my soul. The best part is the amount of direction I have felt. I have come to realize and appreciate what it means to have real direction in life. When we have direction, we can more easily eliminate what stands in the way of getting from point a to point b. When you know where you are going with your life it is easier to have a lot less clutter. This is why I know we had to take this time. We needed to declutter our brains and cut through the fog long enough to find where we are headed next. More than anything, this time has been wonderful to reflect on home and the various meanings that have developed alongside that word. Having many places that call your soul is a real blessing, but it can leave you wondering where you should be choosing to land. If anything I have learned recently that it is important to make home where you are, right now not in 2 weeks or 6 months or a year. Home is a precious thing. There will always be varying levels of what home means, but every place you go in life creates a cubby in your heart that will always long to return. Some of those cubbies are just larger than others I have realized. My longing for Northern Michigan will always be the largest in my heart for so many reasons, and Northern Michigan and I will always have our time together. Some of those times will be short, and some will be long. As we go into our second to last weekend of our summer break here in Michigan I am looking forward to a lot of time on the water and a lot of stillness in this beautiful place. I think I will need to visit some favorite hikes and take in a few views one more time to keep me full till next year. What do you have planned? 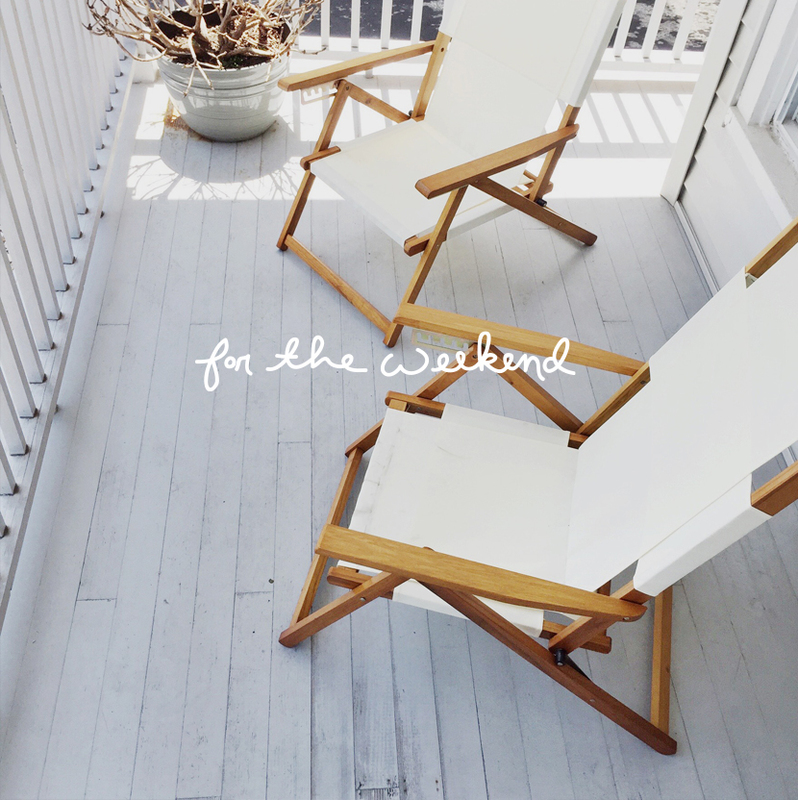 I have gathered a few great links to keep you inspired over the weekend. I hope you enjoy. – Mike is currently on Mille Mitten, a 1,000-mile road trip around Michigan taking backroads around the state ith 20+ other people. If you want to follow the trip, look up the hashtag #millemitten on Instagram or find Mike on our TFE Snapchat with the handle fresh_exchange. – I am planning to make this Lemon Cream and use it to fill a nut crust for a sweet and tart treat for the weekend. I am also obsessed with all the recipes on Food52, in case you were wondering. – Maia McDonald and her mom recently opened up Bitte Shop. Many of you may or may not have kids, but can we all drool over the cuteness of this shop. I am pretty obsessed and loved seeing my friend Ashley as one of the tastemakers being profiled. – I have a cabin obsession after being up north. We have seen some pretty amazing ones. My goal since moving south was to eventually build our own up here. I love the idea of two smaller spaces. I am not good at being content in only one place. So, one day this will happen…till then I have my Pinterest board. – This summer I have been reading a lot more, which has been fun and good for me. I forget how much a good read can mean to you. I loved reading this post from Joanna Goddard of A Cup Of Jo about the most beautiful things she has ever read. I also loved reading the comments below. – If I could choose one alcohol for the rest of my life, it probably would be tequila. It’s good on its own, shot down with a lime, or mixed up. It’s my go to at a cocktail party. Thus, when I found this beautiful Spicy Margarita recipe from Love and Lemons I was ready to mix one up. Perfect for the weekend. Have a wonderful weekend friends! I hope the sun is shining wherever you are. Thanks for including us Megan! Its so interEsting seeing your experience living in one place but still spending so much time in anOther. Im definitely the type of person who feels a bit restless in one place for too long as well. Also- i added y’all on snapchat a While back but havent seen anything…maybe A setting to update on your end? Would love to see the behind the scenes and the mille mitten! I really love your link roundup! The post about the most beautiful paragraph you’ve read was really beautiful. I was at the bakery yesterday morning where that picture was taken! I grew up in manistee and was there visiting this past weekend. i’ve read your blog for several years and really enjoy it! glad to see you’re enjoying manistee – one of my favorite places on earth! It’s a cool little place isn’t it?